Melissa Cesarano began her training with Eastside Ballet Center and Tempe Dance Academy. She owned Studio One Performing Arts Center (1991- 2003) and a professional dance company, Gravity Jazz Dance Theatre (2003-2013) Her productions with Gravity had a unique combinations of classic literature and jazz dance storytelling. Her dance theatre productions include; Romeo and Juliet, Little Women, Wuthering Heights, Alice in Wonderland and Taming of the Shrew. She choreographed and provided entertainment for over 20 years of corporate industrial entertainment including companies such as American Express, Viktor and Rolf and Wells Fargo. She has choreographed over 100 musicals, working with Greasepaint theater, Valley Youth Theater, and Stagebrush to name a few. 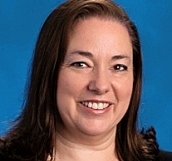 Melissa holds a Doctorate degree in curriculum and instruction and works for St. John Bosco Catholic school.